Buzzed Working is Drunk Working. Learn how to Regulate Alcoholism in your Workplace. Alcohol is the single most used and abused drug in America. Per the National Institute on Alcohol Abuse and Alcoholism (NIAAA), nearly 14 million Americans (1 in every 13 adults) abuse alcohol or are alcoholics. I am sure you have seen signs on the sides of highways stating, “buzzed driving is drunk driving”. This concept not only applies on the highway, but at the workplace as well. If you are having issues with alcohol abuse making its way into your company, there are several steps you need to take for your company to continue running up to speed. Alcoholism can slow many things down, such as productivity and can make a high-energy atmosphere come to a screeching halt. 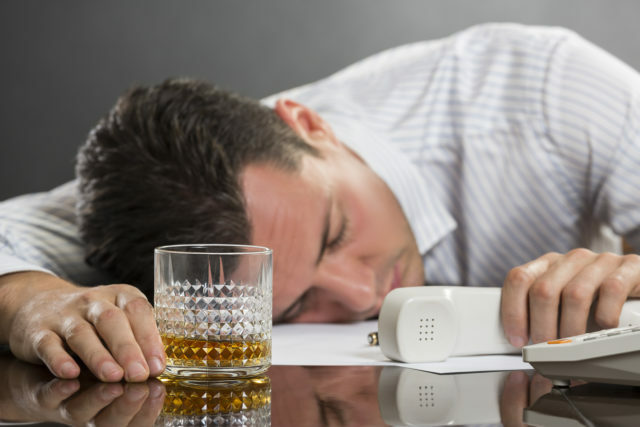 Alcoholism in the workplace contributes to tardiness, absenteeism, injuries, fatalities, and can increase health care costs, legal liabilities, and workman compensation costs. So how do you eliminate and regulate alcoholism in your workplace? First and foremost, your company needs a well drafted, up to date and extensive Drug and Alcohol Company Policy. Your company policy should consider your current state and federal laws and go into detail regarding the rules and concrete processes on substance abuse. This policy should clearly explain all behaviors that will be subject to testing, such as reasonable suspicion. The policy should go into detail in regards to the testing process and repercussions that take place for positive tests. With your company policy in place, you then can choose between several different alcohol testing options. Breathe Alcohol Testing (BAT) is the preferred method of testing for alcohol content. Upon breathing heavily into the device, it detects an individual’s current alcohol levels. Law enforcement relies on this type of device due to it being lightweight, easily portable, and the ability for it to provide accurate and immediate results. A BAT also reflects the previous twelve hours of alcohol consumption which gives authorities a definite answer as to the individual’s current sobriety. For workplace testing, it is important to understand that if you administer the test, it could open you up to legality issues. By having a third party administer or clinic perform the test, an employee is unable to claim that the employer had a positive or negative motive during the testing process. Instant Tests are products such as the Breathscan Alcohol Detector and Alcoscreen. The Breathscan tests one’s breath for alcohol levels and the Alsoscreen tests one’s saliva for alcohol levels. These tests can be administered at work for deterrent purposes only. Both are quick and easy to use and show the levels of alcohol within an individual’s breath or saliva. These tests allow you to quickly assess whether your employee is under the influence on site. When the tests are negative you can have the employee immediately return to work knowing they are sober. On the other hand, if alcohol levels are detected the employee should be accompanied by management to a clinic where a BAT test can be administered. An instant test administered by the employer will not hold up in court. For that reason, it is imperative for the individual to be tested at a clinic where the motive of the technician governing the test is entirely unbiased. Urine Tests are not suitable for workplace testing due to the larger detection window. For example, if you test an employee on a Monday, the test could show levels of alcohol that were consumed on a Saturday. For these reasons, urine is not the correct specimen to collect when reasonable suspicion of intoxication arises. Blood tests are not suitable for workplace testing due its invasion nature. However, a blood test will reveal the measures of the actual amount of alcohol in the blood. In extremely serious cases of injury or death, the blood stream can be the only obtainable specimen. Lastly, there is also a short window of detection when using blood as most drugs are quickly transferred from the blood into the urine. Upon receiving results from any of the above testing you want to ensure that your actions not only stay in legal grounds with your federal and state laws, but with your Drug and Alcohol Policy as well. Additionally, when someone is required to get tested outside of the company, be sure to have them accommodated by management. The implementation of an Employee Assistance Program (EAP) or Drug Free Workplace program (DFWP) are one of the most beneficial ways to assist employees struggling with countless issues such as drug and alcohol addiction. These services remain confidential and can also help with mental, emotional, martial, family, financial, and countless other problems individuals need help handling. Benefits of having an EAP or DFWP reports improvement in the morale and productivity and decreases in absenteeism, accident, down time, turnover and theft. (NCADD) Communication of your EAP or DFWP is essential to ensuring that all your employees are aware of your compassion and support when it comes to battles faced outside of work. It is also imperative that you can be firm when necessary, if you give an employee all the tools to get healthy, it is ultimately their responsibility and choice to change. The term “its 5 o’clock somewhere” belongs in many places, but never work. You can dramatically decrease alcohol abuse in your company through having an effective and compliant company policy, proper reasonable suspicion training, and the proper testing processes. Combined, you will help your employees drop the bottle and embrace sobriety in the workplace. Testing your employees at work for alcohol abuse will not only give you an indefinite answer to their sobriety but will show your entire company that this issue will not be overlooked. Lastly, establishing an EAP or DFWP will provide support many employees need from their employer to be the best version of themselves not only at work but at home as well. What are the most common Red flags to determining alcohol abuse in the workplace? Need help getting started? Origin can draft a Drug and Alcohol Company Policy fit to your specifications as well as provide the products and services you need to keep your employees sober and safe in the workplace. Origin can manage not only your drug and alcohol needs but all work verification needs.